Makes sense on paper, but will Rutherford pull the trigger? It is easy to admit that this is an ongoing terrible stretch for the Pittsburgh Penguins… So much that that Penguins general manager Jim Rutherford has admitted he isn’t pleased with his club’s performance of late and could look into making a move shortly to move things in the right direction. According to Jason MacKay of the Pittsburgh Post Gazette, multiple sources have mentioned that Rutherford and the Penguins’ staff are listening to offers for young winger Daniel Sprong. While the 21-year-old talented forward has struggled as of late, he remains a kid full of potential and could be an interesting trade target for some teams out there. NHL insider Darren Dreger recently said he would be surprised if Sprong isn’t traded by the Penguins during an appearance on NBCSN, however, the TSN reporter speculated it could be a small move at first, only for Rutherford to pull something much bigger later on in the season. As we all know, Rutherford isn’t afraid to make moves at any point in the season to improve his club. For now, he has only made some changes internally, calling up Zach Aston-Reese and Garrett Wilson. 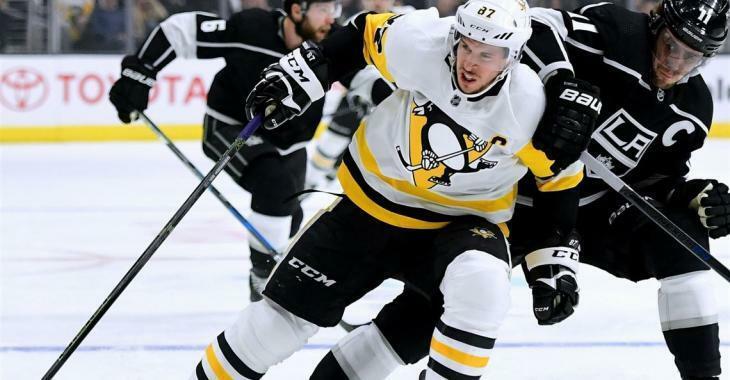 However, Dreger believes that there could be a possible transaction taking place between the Penguins and the Los Angeles Kings. During a Thursday morning radio hit on Montreal’s TSN 690, Dreger explained how the deal makes sense on paper. “But what you start to do is start matching teams who are struggling, right. The Los Angeles Kings have already made a pretty drastic move with Rob Blake firing John Stevens and putting Willie Desjardins in the chair for at least the short term, could be the rest of the year. “But there’s all kinds of trade speculations that are swirling around the Los Angeles Kings. Some believing that teams in the East are calling on Tanner Pearson, who is struggling offensively - maybe Jake Muzzin, Alec Martinez, something like that. “So could there - could there - be a connection with the Pittsburgh Penguins and the Los Angeles Kings. That’s what you try and do in my world, is try and match teams who have struggled. Sprong is in the first season of a two-year, $1.5 million contract, while Pearson is in the second season of a four-year, $15 million pact. Muzzin has two years left, including this season, on his five-year, $20 million contract, while Martinez is in the fourth season of a six-year, $24 million deal.